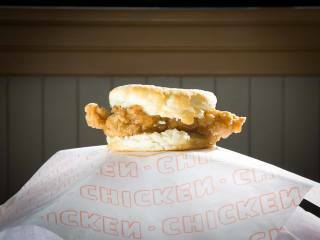 A pastor and comedian from McKinney has become an internet star thanks to a video he posted extolling the joys of the honey butter chicken biscuit sold at Whataburger. On February 16, Pastor Fred Thomas, aka "The Pastor Fred," posted a video he recorded in the front seat of his car that shows him singing passionately about the breakfast item. Called "Something About This Biscuit," it sounds more like a gospel song and is well on its way to notching 5 million views.